The highest ever rate of new restaurant openings in the capital is recorded in the 25th edition of Harden’s London Restaurants, whose 2016 book was published on 5 November. The guide has tracked restaurant openings since 1991. The 2016 editionÊ¼s tally of 179 newcomers easily exceeds both the 2008 pre-financial-crash level of 158, and 2015Ê¼s figure of 148. Although the number of closings, 56, was slightly higher than last yearÊ¼s (at 47, the lowest this century), it is still a modest amount, continuing a 3-year trend of very limited closures. The resulting net openings of 123 (179-56=123) beat last yearÊ¼s high of 101. The ratio of openings to closings stood at 3:2 to 1, a ratio beaten only once in the guideÊ¼s history (in 1996). In only five of the last 25 years has HardenÊ¼s recorded a ratio that exceeded 2:4 to 1. Read all about Harden’s 25-year history. Including our spats with celebrity chefs, what’s changed in the industry and London’s dining scene, and why Harden’s is still a trusted resource for restaurant reviews after a quarter of a century in print. Ratings and reviews in the guides are based on one of the UK’s most detailed annual poll of restaurant goers with some 6,750 people contributing over 60,000 reports for the 2016 edition. Michel Roux Jr’s “flawless and indulgent” Mayfair bastion Le Gavroche was for the second time in the guideÊ¼s 25-year history voted LondonÊ¼s Top Gastronomic experience, toppling Brett GrahamÊ¼s cuisine at The Ledbury off the top spot. However Notting Hill’s foodie mecca, backed by Nigel Platts-Marin, still clung on to the capitalÊ¼s highest average food-rating, due to Graham’s “adventurous” culinary creations “executed with panache”. 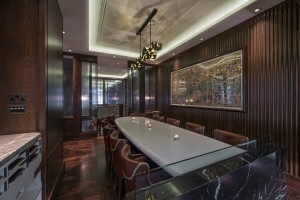 Simon Rogan’s year-old Claridge’s dining room – Fera at Claridge’s – was a newcomer in the Top 10 Gastronomic Experience, voted the capital’s fourth best gastronomic experience, with “wizard” tasting menus and “astonishingly good wine pairings”. Also new to the top Gastronomic Experience list this year, two Scandi-inspired venues: Tom Sellers’s Restaurant Story (9) near Tower Bridge, where the multicourse menu is “akin to a trip to the Fat Duck, but at under half the price”; and Mikael Jonsson’s open kitchen venture Hedone (10) in Chiswick, thanks to its “unique technical mastery” of “the best ingredients in London”. 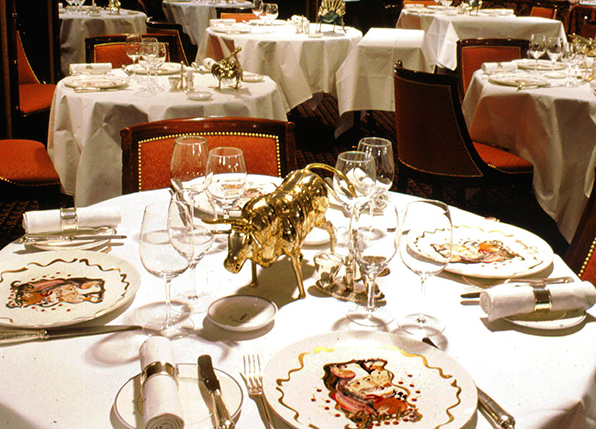 Read the full list of London’s top 10 restaurants for gastronomic experience here. Bruce Poole’s (also backed by Platts-Martin) iconic neighbourhood restaurant Chez Bruce was yet again voted London’s Favourite Restaurant – for the 11th year running. Make the pilgrimage to Wandsworth and you’ll find “no fads – just classic, interesting, perfectly executed cooking” and a cheeseboard that’s “probably visible from space”. Read the full list of London’s top 10 favourite restaurants here. Gordon Ramsay continued to make something of a comeback in the survey this year. His flagship Restaurant Gordon Ramsay appeared on the top 10 Gastronomic Experience list (6) again after dropping off two years ago. Topping the Most Disappointing Cooking list this year was paparazzi hotspot the Chiltern Firehouse. Nuno MendesÊ¼s hotel dining room has the dubious pleasure of taking this title from the Oxo Tower restaurant, which has finally managed to escape the number 1 spot on the Ê»list of shameÊ¼ (now at number two) after 15 years. 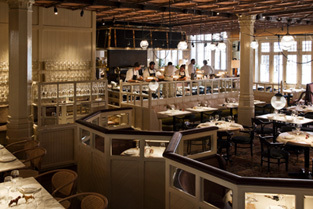 The HardenÊ¼s survey not only awarded the Chiltern Firehouse bottom marks for food, reporters also decried the place as “full of Z-listers, models and wannabe movers-and-shakers” and “so over-hyped itÊ¼s hilarious” – none of this is helped by “silly” prices and service thatÊ¼s “confused (going on obnoxious)”. Appearing on the Most Disappointing Cooking list for the first time is Jason AthertonÊ¼s flagship Pollen Street Social (3). According to the survey, 2015 was the year the (until now) bullet-proof Atherton empire began to show signs of wear and tear. Complaints of “passionless”, “unmemorable meals” and “conveyor belt service” typified feedback and led to tumbling ratings. Has the restaurateur finally overstretched himself? The last 12 months have been busy – the opening of City Social (which got a name check in out Best for Business top 10 at number 4), the launch of Social Wine & Tapas and his forthcoming Japanese project on the former site of Turnmills, Sosharu. His BernerÊ¼s Tavern also took a nosedive in ratings this year, with food deemed to be “no more than competent”. AthertonÊ¼s “trendy yet superb” Social Eating House in Soho remains a beacon of hope. It appears alongside Heston BlumenthalÊ¼s hotel dining room Dinner at the Mandarin Oriental (6) and Bruno LoubetÊ¼s Grain Store (5) – another new entry in the unenviable top 10. DinnerÊ¼s popularity continues to wane year-on-year in the survey and its Olde Worlde dishes which “first seemed novel and exciting now seems boring” and “oh-so overpriced”. Read the full list of London’s top 10 most disappointing restaurants here. When it comes to the Most Overpriced Restaurant list, The River Café, has the dubious honour of taking up that mantle for the second year in a row. For some survey reporters itÊ¼s “eye-wateringly expensive, but brilliant”, to others the cost is “just insane for a bit of al dente pasta”. Read the full list of London’s top 10 most overpriced restaurants here. A refit and relaunch for Marcus WareingÊ¼s Marcus at the Berkeley last year has done nothing to help its sliding survey ratings. It slipped out of the top 10 Gastronomic Experience list and graced the Most Overpriced top 10 (6) instead. Survey feedback cited far too many occasions of “pompous” cooking, “lacking wow-factor”. And the prices? Well, theyÊ¼re just “outrageous”. WareingÊ¼s other ventures didnÊ¼t fare much better. His attempt to do casual dining at Covent Garden yearling TredwellÊ¼s was deemed “a let down after such high hopes”, the venue is “bizarre, not relaxing, not cool, not quirky”. And the MasterChef judgeÊ¼s Gilbert Scott, while handy for St Pancras station, is “very average for its elevated price”. The guideÊ¼s introduction notes the prevalence of outstanding Asian food of all kinds in the city. Four of the guideÊ¼s 10 most notable 2015 newcomers represent four different eastern cuisines – The Araki (Japanese), Bao (Taiwanese), Duck & Rice (Chinese) and Smoking Goat (Thai). This is indicative of a greater stepchange in the sorts of establishments opening in London. The introduction also records that almost 10% of restaurants opened this year were Japanese, making it the most popular cuisine for new openings, along with Italian eateries which accounted for a similar number of newcomers. The Araki enters into the survey this year as the most expensive restaurant per head by quite a margin, where diners easily spend £360+ each with drinks and service. 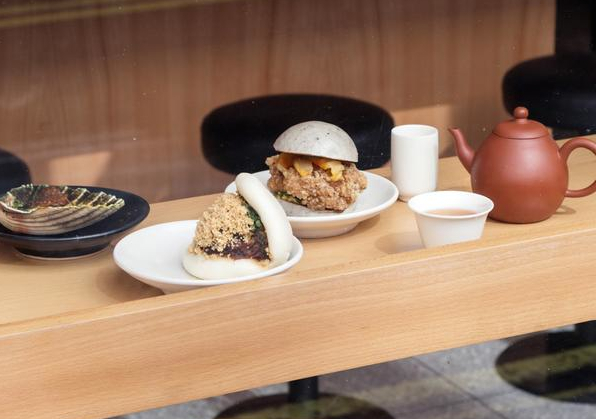 At the other end of the price scale, tiny Taiwanese outfit, Bao – a Hackney Netil Market stall-turned-permanent-Soho-restaurant (backed by the Sethi siblings – Gymkhana, Trishna) – was this yearÊ¼s highest rated survey newcomer. Already reporters are hailing it as a “Soho legend in the making” serving “heavenly soft buns filled with tasty, slow-cooked meats” and “the best, crunchy fried chicken in London”. The average price of dinner for one at establishments listed in the 2016 guide is £50.51 (compared to £49.46 last year). Prices have risen by 2.1% in the past 12 months. This is a little less than last yearÊ¼s rise of 2.7%, however it significantly exceeds the current, very low rate of inflation (effectively zero). Therefore this yearÊ¼s real level of restaurant price rises is significantly higher than last yearÊ¼s (which broadly tracked inflation). Harden’s London Restaurants 2016, £12.99, is available in all good bookshops, including Waterstone’s and Amazon.com, and from www.hardens.com.